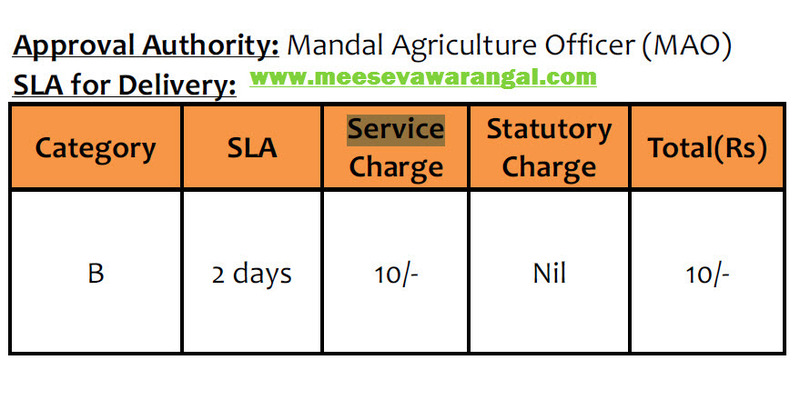 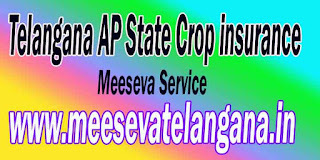 Telangana AP State Meeseva Service Crop insurance is purchased by agricultural producers-including farmers-ranchers-and others to protect themselves against either the loss of their crops due to natural disasters-such as hail, drought-and floods-or the loss of revenue due to declines in the prices of agricultural commodities. 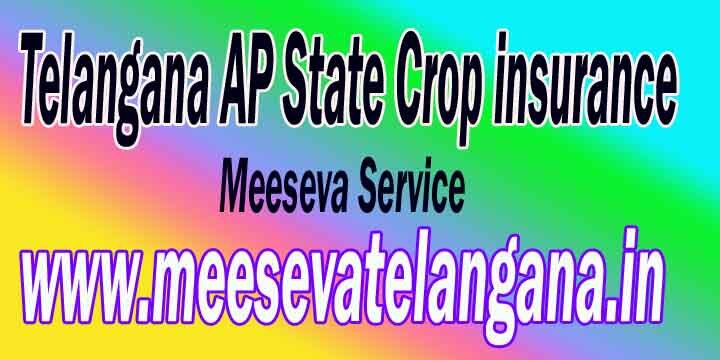 Description: The Farmer get availed of this service in order to protect themselves against either the loss of their crops due to natural disasters, drought and floods. 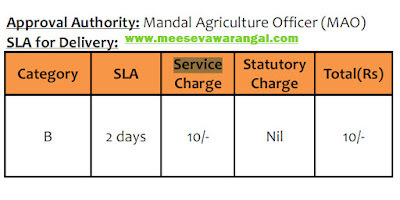 Proposal form signed by MAO/VRO.